Particularly in the spring and summer when the temperature is good, we like to spend most of our time outdoors. 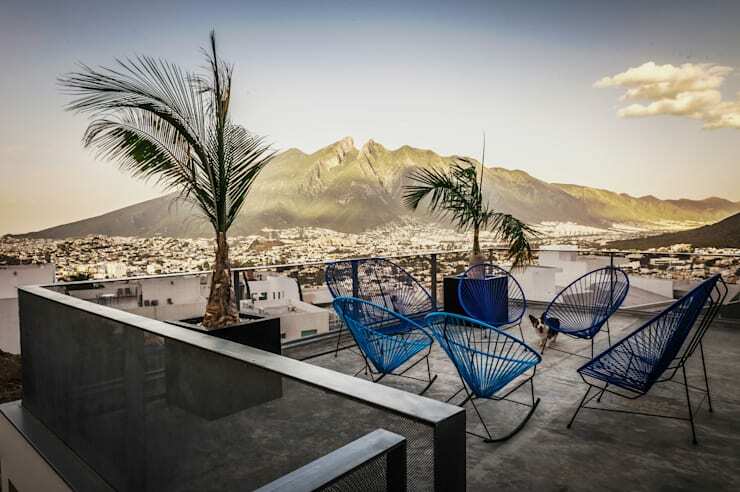 The best place to spend our evenings is on the terrace looking over the beautiful view. A terrace is an extension of the living room towards the outside which is also an ideal place to relax and work. To feel comfortable and be surrounded by pleasant ambiance it is important to design a terrace properly. In addition to a comfortable seating arrangement, colourful flowers, and plants, flooring can also play a significant role. This ideabook showcases the different materials that you can use to create your terrace flooring or decorate the space beautifully. 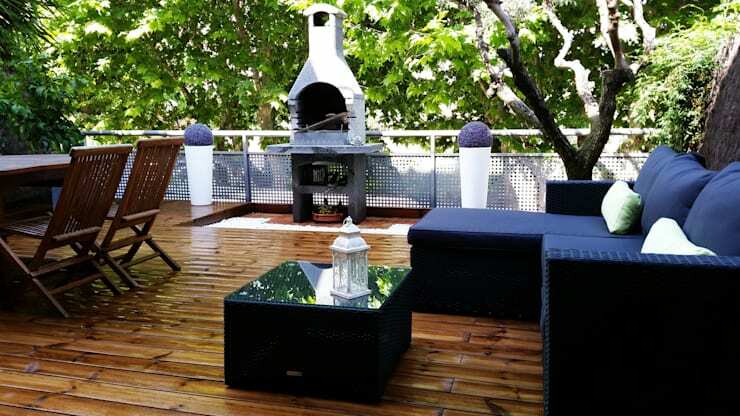 Terrace flooring ideas that use wood are some of the most famous in the world. People often like to choose a sturdy material while creating a patio floor which also looks classy. 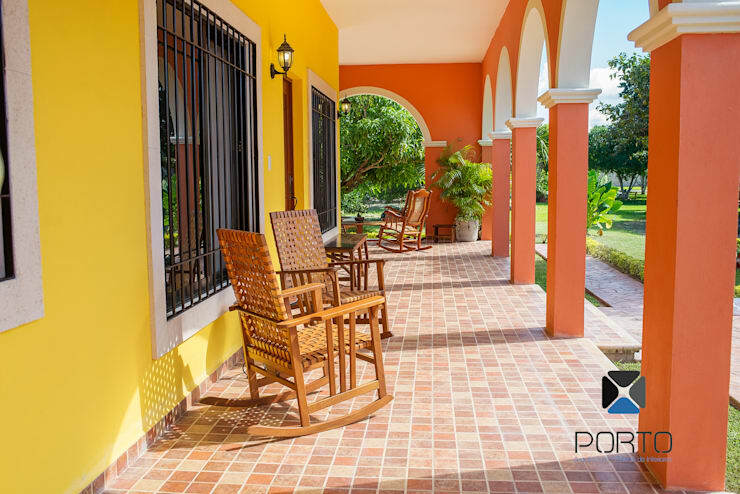 The use of hardwood not only gives the terrace a natural charm but is also able to withstand the warm climate. However, hardwood floors require a wax or oil seal to be protected from weather influences. Just like wood, stones also creates a natural and rustic atmosphere. Roundish stones like Feldstein allow you to create a well-formed surface which is also pleasant to the eyes. The light colour on of the stone ensures a friendly look which can be complemented by using dark wood furniture. Concrete is a building material that has a lot of character. Due to this reason, it has now become one of the most popular materials to be used indoor as well as outdoor. 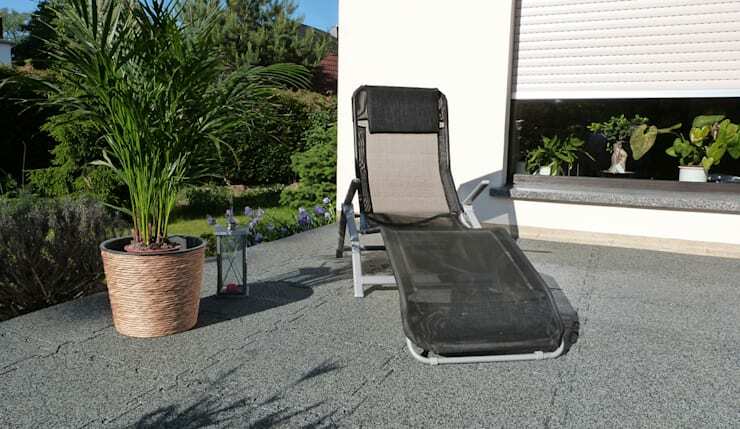 The cement and gravel mixture can also be used as a patio flooring as it is suitable for outdoor areas. 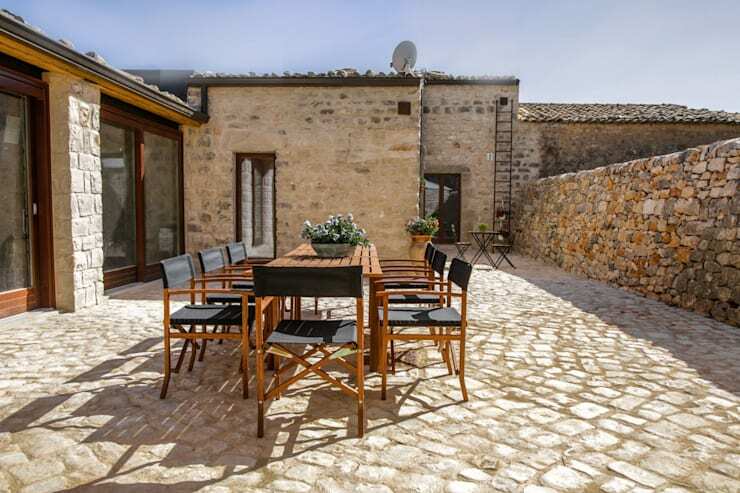 Cement as a terrace flooring is cheap and extremely durable at the same time. Tiles are a modern and all rounder flooring option. While tiles with motifs are considered traditional in the southern world, they are becoming more and more trendy everywhere else. Whether you use a consistent theme, playful designs or different colour tiles they will all make your terrace look beautiful. Modern ideas of patio flooring can also include the use of burnt clay. 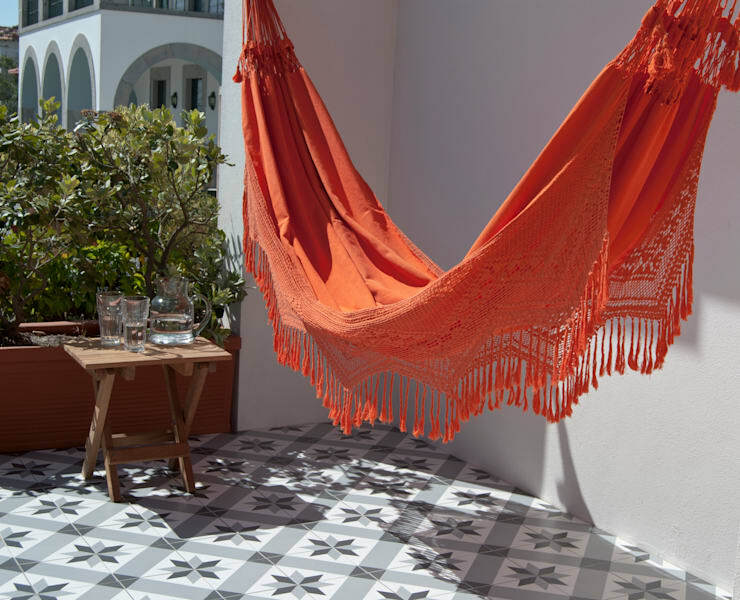 These tiles are usually in different shades of beige, brown, and red which uplift the vibe of your terrace. These tiles are available in small squares and are known to give your outside area a distinctive look. However, clay can also be used if you are seeking to achieve a Mediterranean appearance. Natural stone is a noble and extremely robust raw material. These stones are also available in different types. In addition to common stones like marble or granite, you can also use slate for your flooring needs. 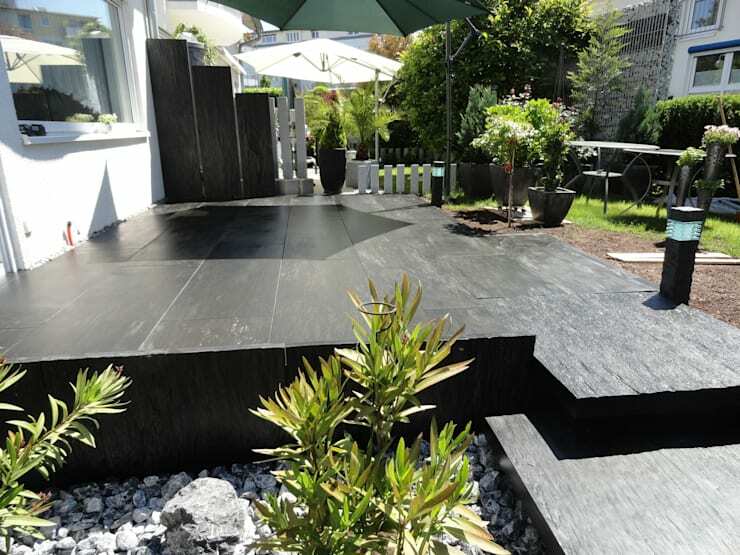 The striking and graceful appearance of slate can highlight your entire terrace in an instance. Although, the slate is considered to be an expensive raw material it can last you for years on end making it worth the investment. Another modern flooring option includes rubber granules. These WARCO tresses are easy to install and do not require any screwing or gluing. This elastic material, when used as a flooring, can also give you a pleasant feeling. Apart from this, these flooring options can also be used as an additional layer of insulation during cold or warm weather. Rubber granules act as a noise protection material making it an all rounder. Gravel belongs to the category of natural stones but is often categorized as loose sediment due to its small size. 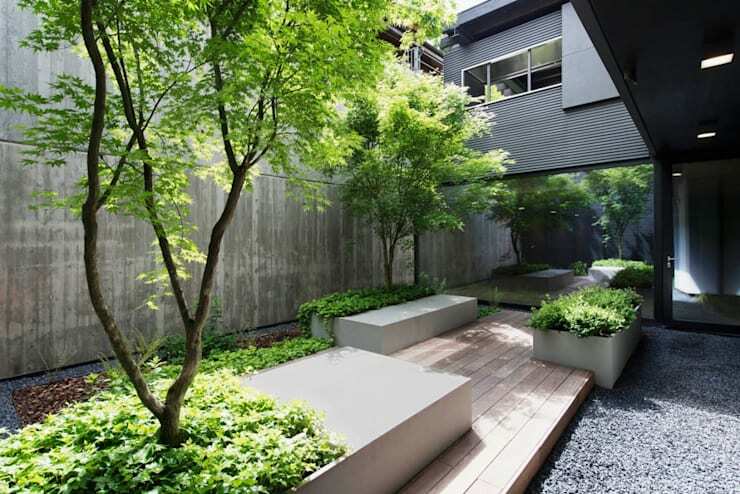 Using gravel on your terrace will also make the entire space more noticeable. The material is easy to move and offers you the flexibility to decorate it as per your wish. 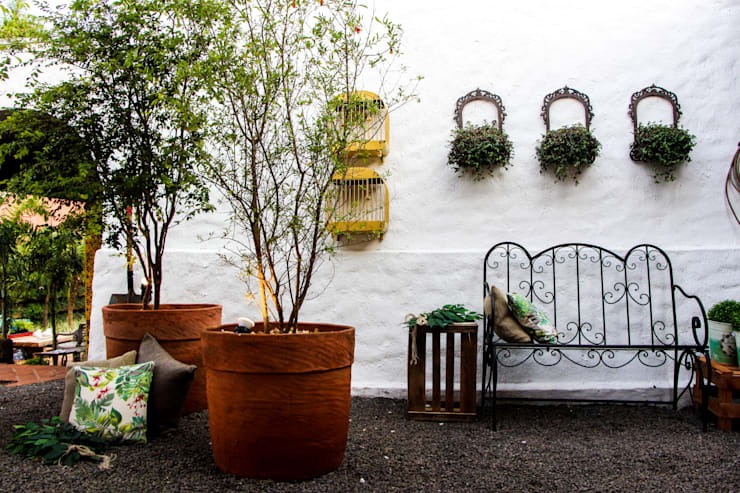 However planting buckets and iron furniture makes for the perfect pair for a similar flooring option. If choosing between different material is proving to be difficult than you can also combine these options. For example, by using wood, stone, and concrete on your terrace, you can create a harmonious blend which gives you a diversified design. Creating a patio using a combination of materials also depends on your taste and creativity. Which one of these ideas inspired you the most?